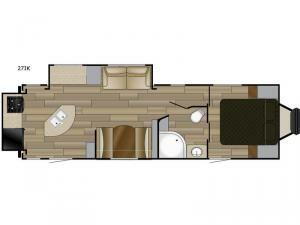 If you have been searching for a couple's travel trailer with plenty of floor space to move around freely when entertaining other campers, this Fun Finder XTREME LITE 27IK should meet your needs, plus some! Starting with dual entry which allows for quick access to the refrigerator to grab a drink, or the bedroom entry which allows you to sneak inside near the second entry into the bathroom. 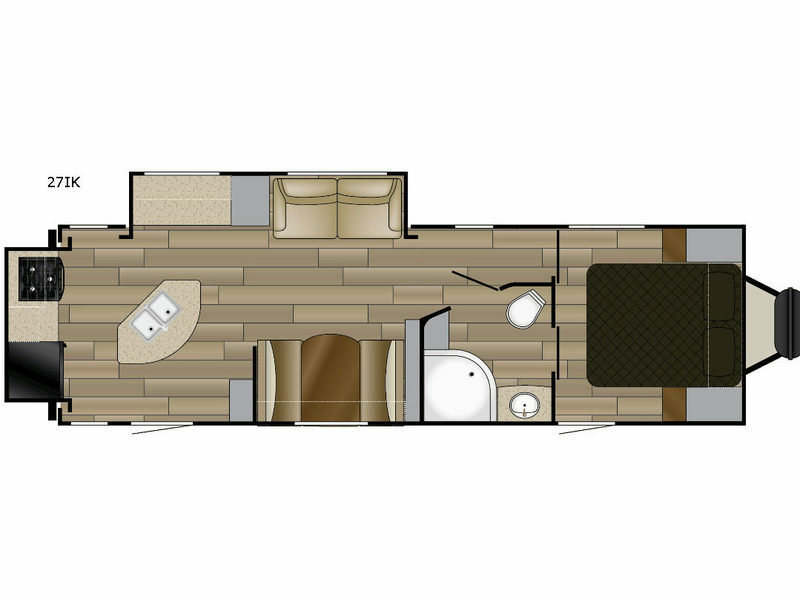 You can drink coffee while making breakfast on the unique rear kitchen slide out and solid surface countertops, wash dishes at the kitchen island, and provide extra sleeping space at night for grandkids on the furniture. 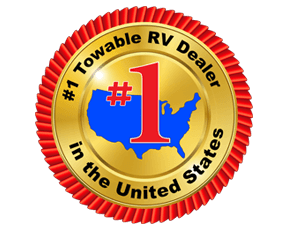 Start your next RV trip today with plenty of storage and space for any length of travel!